“We are concerned about downloading technologies to farmers and ensuring that they are adopted and used for agricultural transformative impact of countries under TAAT. So this must be handled by experts who know how the technologies will be disseminated and outscaled to the end-users and ensure all the value chains are covered,” said Dr Jonas Chianu, TAAT Task Manager, and Principal Agricultural Officer, AfDB, during the recent project pre-appraisal workshop. 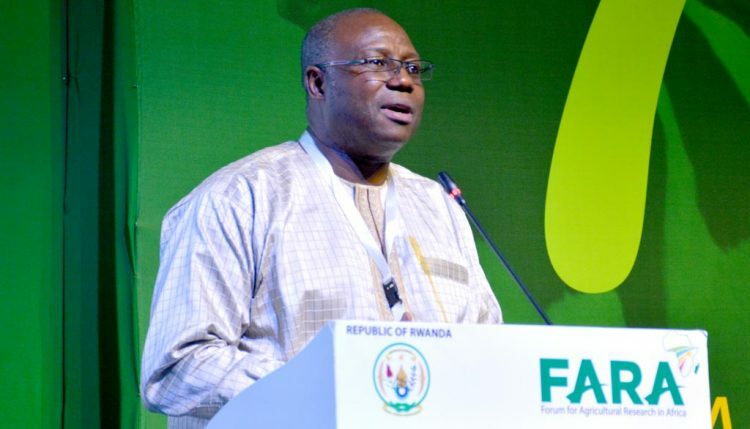 A lot of emphasis was placed on the need to transfer technology to farmers as an important prerequisite to achieve rapid agricultural transformation across Africa through raising agricultural productivity along eight Priority Intervention Areas (PIAs). Hence, TAAT will deliver powerful and proven agricultural technologies to the Bank’s Regional Member Countries (RMCs) as a means of achieving agricultural transformation. By so doing, it is believed Africa will be able to feed itself and transform its economies by targeting agriculture as a major source of economic diversification and wealth as well as an engine for meaningful job creation. But all these laudable objectives cannot be realized if there is no efficient capacity development program for the actors (from farmers and agro processors to input suppliers etc.) who will be involved in the whole gamut of agricultural productivity and transformation in each of the PIAs. 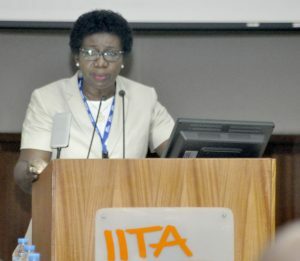 Since TAAT is essentially the Bank’s knowledge and innovation-based response to scaling up proven technologies in Africa, its implementation will be based on the identification and deployment of these technologies to large numbers of beneficiaries and facilitate the mobilization of experts to backstop their dissemination and adaptation. 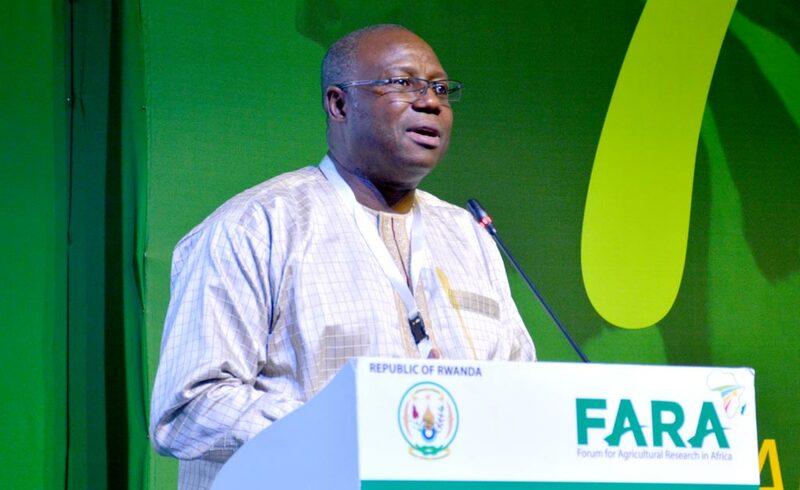 In this wise, the Forum for Agricultural Research in Africa (FARA) has an important role to play. They will undertake capacity development at all levels among partners and institutions, and within the eight PIAs and their constituent commodity value chains. The TAAT approach for capacity development is divided into three areas; the individual, institutional, and systems enabling environment. On the individual level, FARA is expected to improve the technical capacity of researchers and stakeholders in knowledge generation, translation, and up take processes. On the institutional level, they will improve organizational structures, processes, resources, and management and governance issues and enable local institutions to attract, train, and retain capable researchers. At the systems enabling environment, FARA will develop coherent policies, effective coordination across sectors and among governmental, non-state, and internal actors and ensure strategic planning and priority setting. Above all, FARA is expected to deploy an holistic approach which will combine all levels to deliver an holistic and targeted capacity development embedded in institutional change. Dr. Yemi Akinbamijo , Executive Director FARA. The basis for capacity development of potential actors in TAAT is predicated on the following: 1. Many countries suffer gross imbalances in the competency pool along the entire spectrum of the capacity pyramid. 2. The TAAT capacity development program within each priority value chain will need to build balanced competencies at the national level. Hence there is need to strengthen capacities to achieve impact in priority interventions areas. Some of the proposed activities to be executed in partnership with some agricultural organizations such as ASRECA, CORAF, ATPS, CCARDESA, and national partners are organizing visioning workshops to adopt and train on the tools for demand-side capacity diagnostics; training on integrated soil fertility management, facilitating farmer-to-farmer training through video-mediated learning on TAAT technologies; and facilitating formation and operationalization of innovation platforms for technology transfer in value chains.